In all sectors, the digital race is on and changes are developing at breakneck speed. Businesses are leveraging technology to strengthen their value propositions and differentiate themselves from their competitors. The key technology trends in 2017 – artificial intelligence, machine learning, Internet of Things, cloud technology, augmented reality, virtual reality, automation and big data present opportunities for businesses to innovate and transform to thrive in the digital economy. Businesses need talent to take on these challenges, and they need such talent now. 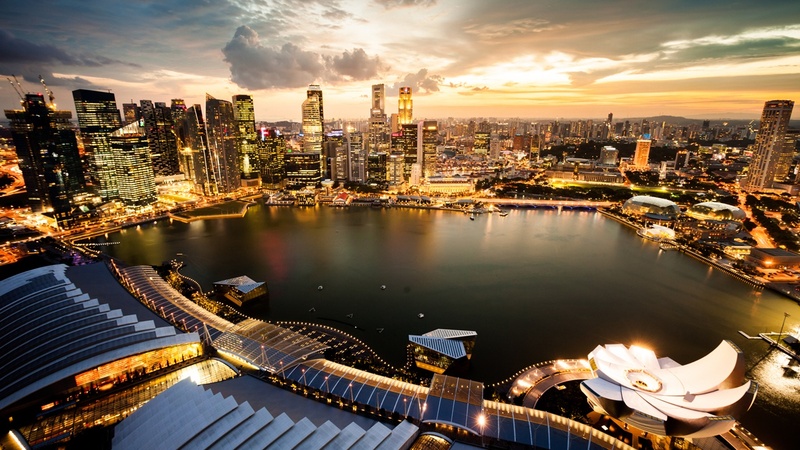 The increased rate of adoption of digital and technology in Singapore has bolstered demand for ICT talent. According to a survey by recruitment firm Robert Walters, the number of ICT jobs advertised in 4Q 2016 in Singapore had surged 30% year-on-year despite a decline of 1.4% in the overall number of jobs advertised in the same time period. In furtherance of the various Smart Nation initiatives, the Government also projects demand for another 53,200 ICT jobs by 2018 in Singapore. 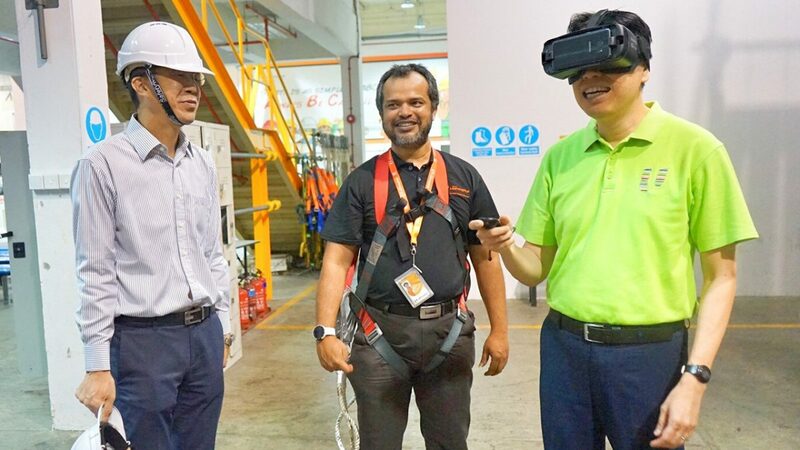 In a pilot study of the ICT sector undertaken by the Future Jobs, Skills & Training capability at NTUC (some findings of which are set out in the infographic at the end of this post), it was found that jobs in cyber security; UI/UX; data analytics; network engineering; immersive media (virtual and augmented reality); artificial intelligence; and digital transformation project management were in demand, however there appeared to be a shortage of talent in Singapore to take on these jobs. Employers were looking for experienced ICT professionals with specialised skillsets. Institutes of Higher Learning (IHLs) are playing catch up to ensure that graduates are equipped with relevant skills upon graduation which are required by the industry. (i) Skills Mismatch – We have a shortage of people with the skills, training, acumen and appetite for the ICT job openings. I personally know of many who despite having studied Information Systems; Computing; Computer Engineering or Computer Science who did not end up taking on software development or programming jobs (which are in-demand). Many choose to go into systems development and project management roles. Among those whom I know, both young and mature workers, who are working in coding/programming and software development, they are very much sought after and decently paid. (ii) Speed-to-Market – We have expanded ICT courses across our IHLs but there will be a time lag. With rapid technology change as a backdrop, both private and public Continuing Education and Training (CET) centres (including those in our IHLs), play a crucial role in ensuring that the needed and necessary skills, competencies and knowledge reach the market ‘yesterday’. This is in light of the trajectory, fluidity and velocity of change. (iii) Churn – Although there are many new jobs created, other sectors such as the financial sector, oil & gas, shipping, offshore and marine are consolidating and offshoring, there is a certain amount of collateral effect on the ICT industry. As such, you will still hear of ICT professionals being made redundant. Notwithstanding, if they are equipped with the in-demand skills, there is a higher possibility of them being re-deployed into an adjacent job within the same industry or in another or new industry. The challenge is skills acquisition, skills currency and skills deepening/development. Recognising the burgeoning opportunities in the ICT sector and the talent gap challenge, the Government has set aside a $120 million budget over 3 years to develop ICT talent in Singapore. One of such key initiatives is the TechSkills Accelerator (TeSA) aimed at aggregating and integrating training and job placement programmes to serve across ICT and non-ICT sectors for ICT professionals and mid-career entrants. IMDA and SSG have also developed the National Infocomm Competency Framework (NICF), a national infocomm roadmap which identifies the skills and competences required for various ICT jobs. To keep abreast with latest skill and competency requirements, NICF is also conducting a review with the industry and will be transitioning into the Skills Framework for ICT, an initiative of SkillsFuture, at the end of the year. Other initiatives include company-led training; Critical Infocomm Technology Resource Programme Plus funding to support the upskilling of local professionals; and the Tech Immersion and Placement programme for science, technology, engineering and mathematics graduates and tech professionals to be equipped with emerging high demand tech skills to be placed into tech roles which require such skillsets. I look forward and urge the tripartite partners to expand TeSA and do even more to enhance it. On a tripartite level, IMDA, WSG, SSG, Singapore Computer Society, NTUC and NTUC’s e2i have set up the TechSkills Accelerator Integrated Career Services initiative to help professionals pursue a meaningful career in the ICT sector. The programme provides sector-focused career advisory and mentorship by industry veterans and experts to PMETs who are keen to join the ICT sector. Efforts have also been undertaken to mobilise PMETs into Professional Conversion Programmes to enable them to join the ICT sector as Business Intelligence Architects, Cyber Security Professionals and Data Analysts, to mention a few. 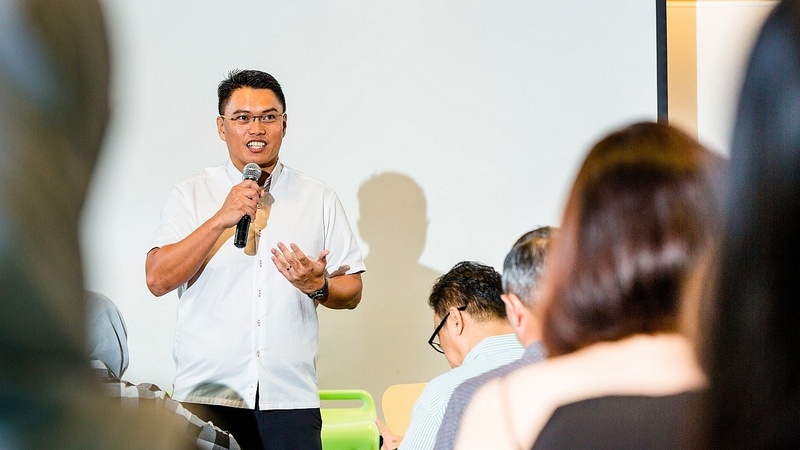 NTUC LearningHub is also a programme partner of the NICF and offers 37 professional IT courses for skills identified in the NICF while supporting the delivery of 10 Professional Conversion Programmes into the ICT sector. Industry Transformation: What can PMETs Do? With the onslaught of the wave of digital and technology revolution, we can either sink or swim. In the very near future, a large majority of job scopes would require some degree of ICT knowledge. To stay afloat and thrive, one must keep abreast of technology and constantly upskill and reskill to stay relevant. We can do so by taking stock of our own ICT knowledge and identifying training which we can take up to enhance our tech skills portfolio. There are many training offerings available which our SkillsFuture credits can be applied toward. NTUC LearningHub provides a wide range of ICT programmes, you can find out more here. 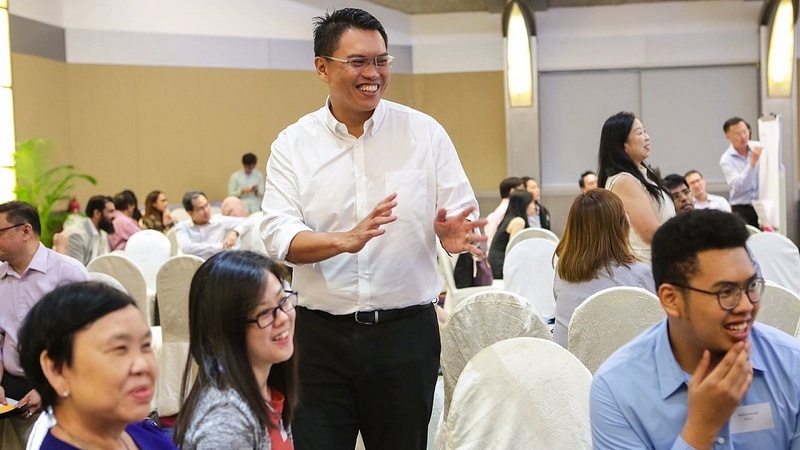 NTUC and e2i also organise expert sharing/networking sessions, U Future Leaders series, as well as partner our U Associates and leverage our NTUC Education and Training Fund to facilitate greater knowledge sharing, skills acquisition and career progression in the ICT sector. For PMETs looking to join the ICT sector, in addition to participating in the various initiatives shared above, our e2i also organises e-Career Fairs for Infocomm Technology (Recent fair: https://e2i.glints.sg/). Participating companies included Accenture, Cognizant, FDM, ST Electronics and Tableau. As it is often now said, businesses must disrupt or be prepared to be disrupted. In the same way, PMETs should also take the technology disruption bull by its horns by tapping on the various training and placement initiatives available, keeping relevant with the skills of the day and staying ready and resilient in the face of rapid change as the world forges ahead into unchartered waters. Although we are filling the lacuna and catching up with industry demand, we will be able to not only catch up but stay ahead if the tripartite partners (government, employers/businesses, labour movement/individuals) and society put our hands on deck and shift our mental models where needed. This is a post by NTUC Assistant Secretary-General and Director, Future Jobs, Skills and Training, Patrick Tay. Any extracts should be attributed back to the author. 22 May 2017.